So I've been evaluating partCover and nCover for inclusion in our TeamCity builds. I've got most of the way there with nCover but have run into an issue. I'm using msBuild, native nUnit 2.5.2 (not the one included with TeamCity) and nCover 3. The Coverage.xml file is generated just fine. However, no report html is ever generated so no Coverage tab ever appears on the build results. A few weird things highlighted in bold above. 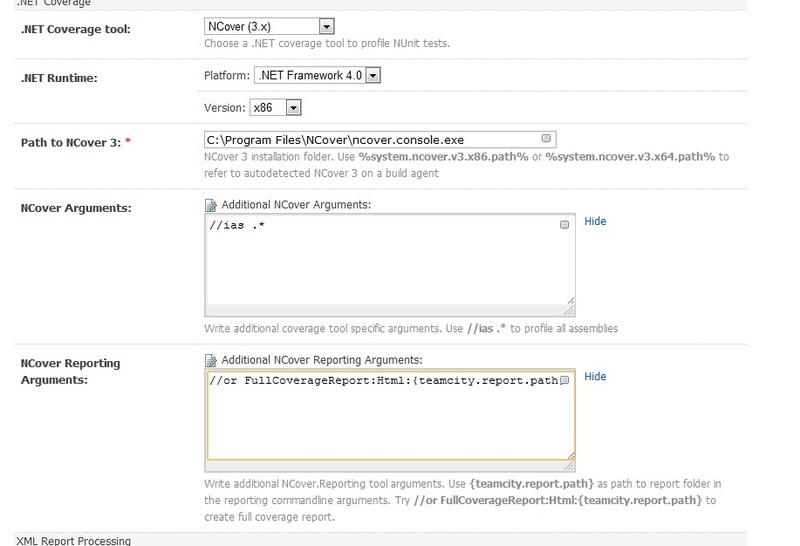 Please issue all ##teamcity[dotNetCoverage messages before a first attempt of reporting coverage data into TeamCity. I've attempted the following with the same results - still getting that error. Unfortunately, it still fails with the same error. Hopefully this includes all necessary files!